Once taken CFA Level 1 course, candidates will be prepared for the module of Fixed Income, which is one of the largest segments of global financial markets. This crash program discusses about the fundamentals and calculations concerning fixed income investments. In this course 10% of the entire CFA Level 1 curriculum is covered in the topic area which is one of the toughest subjects to prepare for, through self study. 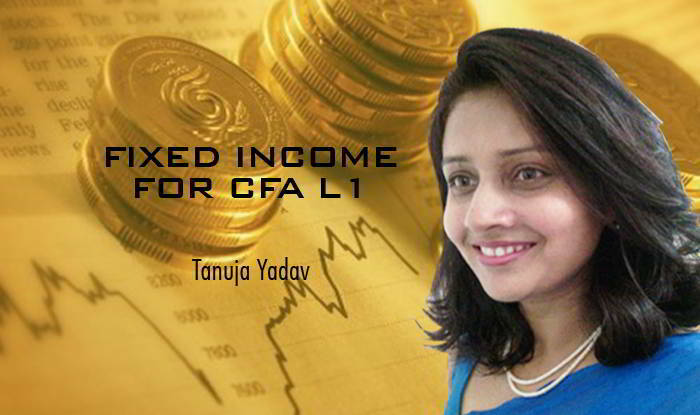 The preparatory course of Fixed Income CFA Level 1 aims at providing detailed understanding from basic concepts to analysis of risk. It helps in making fixed income valuation and conducting credit analysis.The course is a must for people intending to build their career in the world of fixed income securities. People aspiring for CFA level 1 exam for Fixed Income Securities should definitely watch this video as it will help you understand various concepts and terminologies of fixed income securities. Moreover, Participants will also be given free access to related webinars conducted by Kredent Academy for further knowledge enhancement.The students can avail an email query support, Question & Answer community platform for any kind of doubt clearance related to content while pursuing CFA Level 1 Fixed Income course.